Ten trainees of Student Pilot Course 41B have completed their ab-initio pilot training at 301 Flying Training School (FTS), Kaduna. The Defence Head Quarters reports that the the 301 FTS new batch of 10 students pilots will soon move to the next phase of their training. The graduands, awarded certificates over the weekend, are now ready to proceed for Basic Flying Training (BFT) on the fixed wing aircraft at 303 FTS Kano or similar facilities abroad. The graduating students were among the 25 original members of Student Pilot Course 41 that was later divided into two batches of 12 and 13 students. Six members of the first batch of students, constituting Student Pilot Course (SPC) 41A, were sent for rotary wing flying at the International Helicopter Flying Training School, Enugu. The remaining six, comprising 4 Nigerians and 2 Liberians, continued their training in 301 FTS and completed the course in 2015. Thereafter, the Nigerian officers proceeded to 303 FTS for BFT while their Liberian counterparts are presently undergoing further training at the International Aviation College, Ilorin. The remaining 3 members of SPC 41B are currently in the United States undergoing further training. In addition, 28 members of SPC 42 have commenced their flying training at home and abroad. There are 10 officers each in United Kingdom and South Africa, and 8 at the International Aviation College, Ilorin. The remaining 14 trainees are to take after the graduating members of SPC 41B for their ab-initio flying training at the 301 FTS, Kaduna. Meanwhile, the graduands have been advised not to rest on their oars as they enter the next phase of their military flying training. Speaking as Guest of Honour at the graduation ceremony, AVM Mukhtar Muhammed (retired) gave the advice while addressing the graduating student pilots. “ You must know that this is just the beginning of your journey. 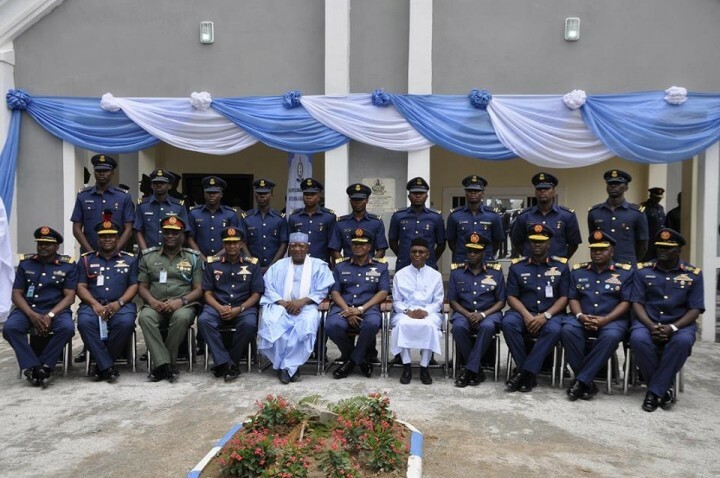 “I enjoin you therefore to sustain the same attitude of rugged determination as you continue with the next phase of their military flying training”, said the former Military Governor of Kaduna State.” He said. 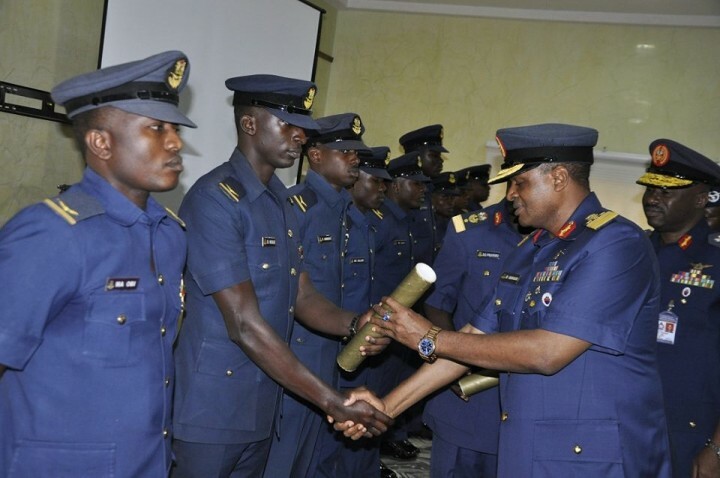 The Chief of the Air Staff, Air Marshal Sadique Abubakar added his voice to the call on the graduands not to rest on their laurels but to strive for greater excellence as they move on to the next phase of their flying training. The Chief stated that the present NAF administration is committed to building capacity and has continued to receive the necessary backing from the Federal Government, one of which, he noted, is the provision in the 2016 budget for the acquisition of 10 Super Mushshak Trainer aircraft from Pakistan. The trainer aircraft, which are to be inducted into 301 FTS to enhance the quality of ab-initio programme, has capacity for full spectrum of military flying training. In a related development, the graduation ceremony was used to commission new set of projects on NAF Base, Kaduna as part of the ongoing efforts towards uplifting and upgrading facilities on NAF Bases. 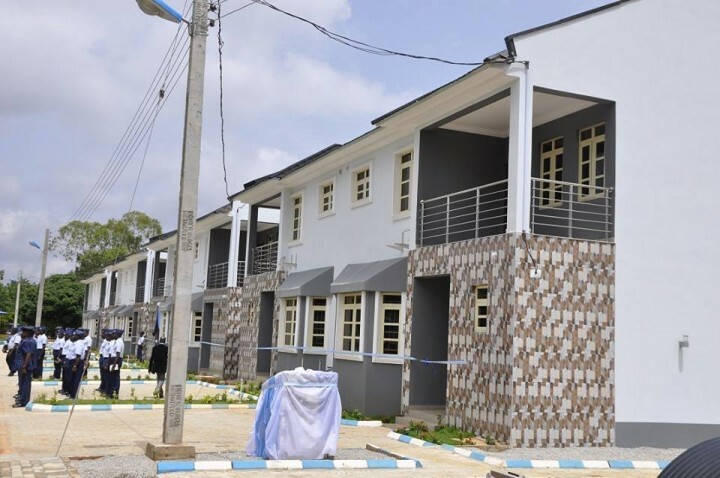 The newly commissioned projects include residential accommodations, road network and recreational facilities, some of which were named after fallen heroes. The objective of the ongoing massive infrastructural development is to provide an enabling environment for personnel so that they could put in their best and move the NAF forward to fulfil its assigned constitutional roles and accomplish its mission in the most effective and efficient way.